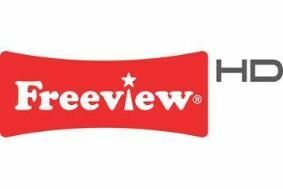 Freeview reaches 60 million milestone | What Hi-Fi? In the five months since its launch, Freeview estimates that at least 230,000 UK homes are now watching Freeview HD, with coverage of Freeview HD transmissions now reaching 55% of the country. There are now more than 100 Freeview HD TVs on the market, and these accounted for 15% of all TVs sold this summer. Ilse Howling, Freeview's managing director, says: "From recording your favourite TV series in high definition to giving you access to the most-watched TV channels, Freeview offers essential TV viewing for everyone, for free." Freeview HD's channel line-up will be boosted this autumn with the arrival of BBC One HD, which will simulcast the BBC One schedule in high definition for the first time. It joins the existing BBC HD channel, ITV1 HD and C4 HD on Freeview. Just under a third of Freeview homes (31%) now have Freeview+ enabling them to record and store programmes on a digital TV recorder.